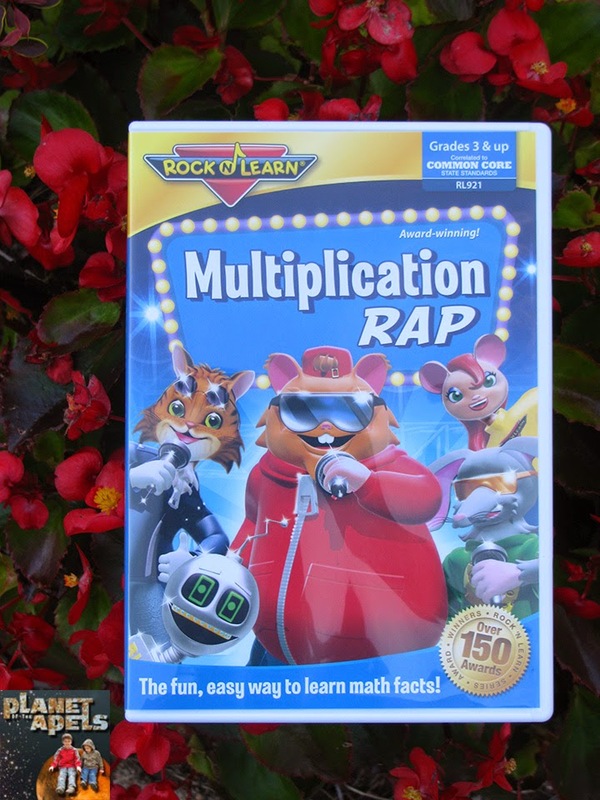 I'm so lucky to get Rock N Learn Multiplication RAP DVD to review. This is a $19.99 value. I didn't know what to expect. I've reviewed 2 of their Sight Word DVD's before. They were geared towards younger children. 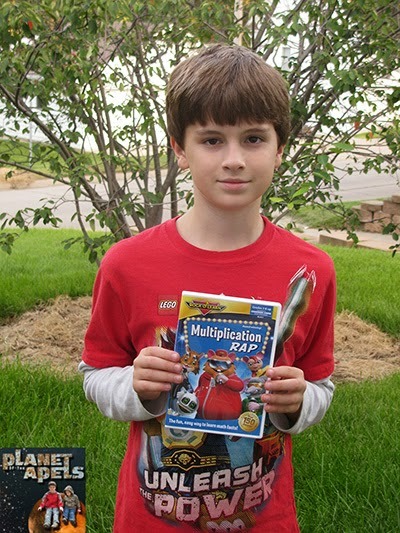 Multiplication RAP DVD is for grades 3 and up. It has catchy tunes that make math fun, and easy to learn math facts. Mica loves reading, but he's been struggling with math. I learned from his teacher that Mica is not alone. His class just got switched to Common Core this year. I think once he gets it, he'll be fine. Any time you introduce something new to the curriculum, it's going to take a bit of an adjustment. His teacher says that Mica actually does really well with math in the classroom, so it's just a matter of getting it down when it comes to his homework. Mica starts learning multiplication and cursive soon. I jumped at the chance to have Mica watch Multiplication RAP DVD. It does follow the Common Core State State Standards. Rock N Learn alone has won over 150 awards. I know their videos are a great way to jump start kids with learning. They are wonderful for homeschooling to. Yes we send our kids to school, but we do a lot of learning in our home as well. What I wasn't expecting is that Isaak - who is 6, would sit in, and listen to the DVD as well. In fact Isaak got out a piece of paper, and started taking notes. He loves math, and wanted to figure out multiplication. Isaak's only in first grade. I was worried about the DVD confusing him. He's only covered addition and subtraction. When products say a certain age, or grade and up it's usually wise to wait. It may look like chicken scratch, but he was trying to learn it. He filled the back of his paper with notes to. He seemed so eager to learn. Isaak always love numbers. He isn't as into reading though. Both my boys loved Rock N Learn Multiplication RAP DVD! It kept them entertained. The raps were catchy, and not annoying. I give it 4 stars out of 4 stars. Rock N Learn sells many DVDs and CDs for all different ages. Their products go from preschool age to 8th grade. Many of their DVDs for the upper grades are for 5th to 8th grade. Mica was looking at their other DVD options and said he wants Earth Science. He's really into learning about weather. A stocking stuffer idea. It's great that each kid is into something different. One of my US readers are going to win their choice of DVD, or CD from Rock N Learn. *Just a reminder they have products that go from preschool all the way up to 8th grade. You will have 48 hours to claim your prize. The giveaway will end on October 2. Here is a coupon code KR8822 to receive 25% off any of their products. I would pick the Solar System DVD if I won. They have a lot of great titles though! Looks like fun. I am all into learning. I need this for Pierce. He has been working to learn his. This sounds like a really fun way to learn math. My kids always learn better when we put problems into songs. That is pretty cool. I know that we will have issues when we get to math. 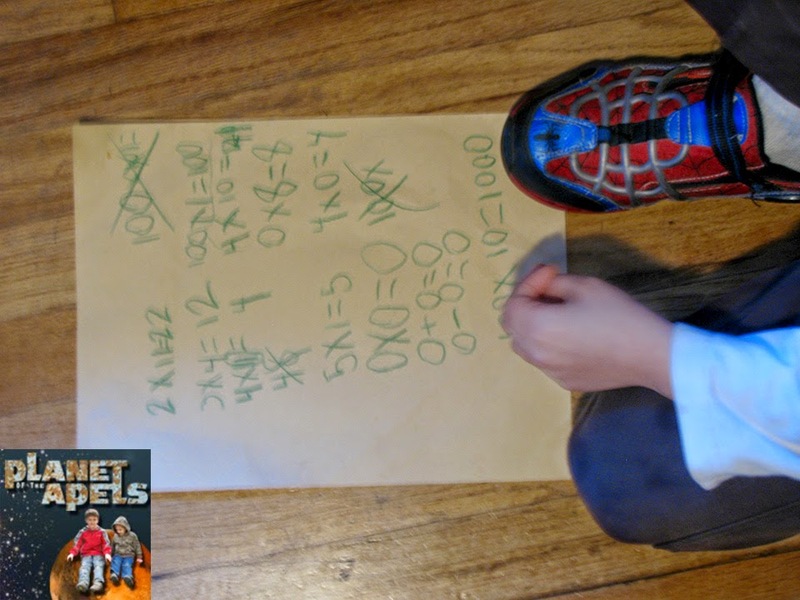 Evan struggles more with math too, and Elijah loves math! He thinks it is fun to do math problems, so getting a math one would be good for Evan and entertain Elijah! This is a little above my kid's age level, otherwise I'd enter the giveaway. I love how your younger son joined in on watching and started taking notes! The Human Body one looks amazing and I know my kids would love it!! Thanks for the giveaway!